With producers and buyers becoming more discerning, the need to produce high-quality granular fertilizer products has never been more important; producing a product exactly to the desired specification has become a necessity in today’s ultra-competitive market, particularly when it comes to specialty fertilizer and soil amendment products. This evolution of products has prompted an increased demand for better particle coatings. The performance of a coating, however, hinges on its proper application to the product. 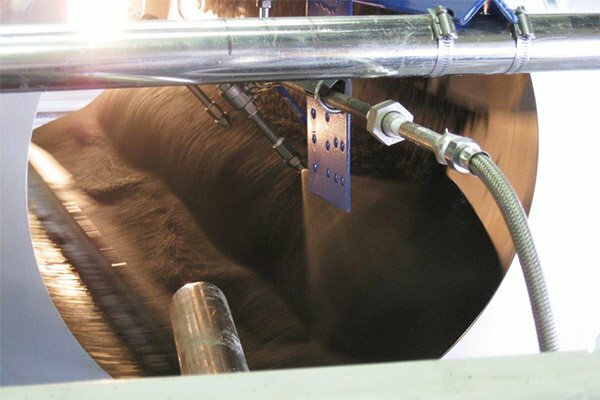 And while conveyors have long provided a seemingly low-cost option, when a premium product is the goal, the use of a coating drum creates a uniform coating distribution, increases production, reduces downtime, and can even lower production costs. The need to coat a material is pervasive throughout many industries. 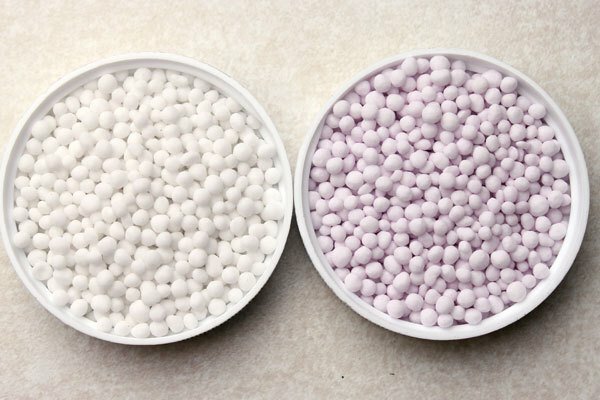 A sophisticated finishing process, coating allows the handling, storage, and performance properties of a granular fertilizer product to be more tightly controlled. The primary ways in which coating is used in this effort are summarized here. Coating is an essential method of controlling dust when working with granular products. Dust results in product lost as waste and often creates a hazardous work area, both in terms of an inhalant and in some cases, even as a combustion risk. Furthermore, fugitive dust at industrial sites is becoming increasingly regulated. De-dusting agents are used to create a protective coating around each granule to prevent the generation of dust. This is especially useful with granules that have angular edges, which are more likely to degrade into fines and dust (often referred to as attrition). Products that are frequently coated to mitigate dust issues include MAP, DAP, sulfur, and potash. Caking prevention is another way in which coating improves fertilizer products (and a variety of industrial materials as well). Caking can occur as a result of many factors, including chemical reaction, moisture absorption, and inadequate cooling. Caking is highly undesirable as it creates handling and storage issues, and often, yields spoiled product. Like de-dusting agents, anti-caking agents are used to create a protective barrier around each granule. This coating prevents the exchange of moisture between the granule and the external atmosphere, allowing product integrity to be maintained throughout its lifecycle. As a hygroscopic material, urea is frequently coated to prevent moisture absorption and subsequent caking. Hygroscopic materials may also be coated to prevent absorbed moisture from activating ingredients in the granule. Coatings can also be used to modify how a material looks and performs as an end product. This is frequently seen with slow-release or controlled-release fertilizers, where coatings are used to control the rate at which the nutrients or active ingredients are delivered. Similarly, coatings also frequently serve to incorporate beneficial additives into a product, such as a microbial blend. Coatings can also be used to improve the appearance of granules, be it through color or surface quality. It can also help to enhance flowability. Ultimately, coating allows producers to create a premium product in performance and appearance. The coating drum consists of a sealed rotary drum which rotates at a defined speed while material is continuously fed into the inlet end. Set on a slight angle, gravity helps to move material through the drum according to a predetermined retention time. As material moves through the drum, a spray system sprays the coating agent onto the material bed. In some cases, tumbling flights may be used to promote greater bed turning for improved coating-to-granule exposure. Spray systems must be designed for optimal distribution of the coating agent, taking into account factors such as spray locations, nozzle type, bed depth, rotational speed, and more. Coating drums are typically smaller than a traditional granulation drum, but can range in size from 36” to 15’ in diameter (1 – 4.6m) and can handle capacities between 500 lb/hr – 3500 TPH. Coating drums are highly diverse and can accommodate a wide array of both liquid and solid coating types, and are beneficial in any coating application. This might include powders, oils, waxes, polymers, or other coating types. When coating with a conveyor, material moves under the coating spray, but is stationary on the belt. This results in a liberal application to the top-most surface area of the material on the belt, while the granules underneath remain untouched. Similarly, if the feed rate of the coating is increased in an effort to improve coating distribution, the top layer will simply become more saturated with only a minimal improvement in distribution. As material is stationary on the belt, coating with a conveyor results in uneven distribution of coating agent. Conversely, coating drums tumble granules in a material “bed” as the drum rotates. This motion promotes greater granule-to-granule contact, which thoroughly distributes the coating throughout the bed. The result is a uniform distribution of coating on the entire surface area of each granule. The tumbling action in a coating drum increases granule-to-granule transfer of the coating, resulting in an even distribution. A uniform coating on the entirety of each granule’s surface is especially critical when blocking moisture absorption, such as with urea, as any uncoated spot can allow moisture in. It’s important to recognize that with any coating equipment, the product feed rate must be consistent to achieve uniform results. For example, if the feed rate of solids to a coating drum was reduced while the amount of coating agent remained the same, the end product would have a higher quantity of coating than desired and could potentially change the final analysis, depending on the product. When using a conveyor to coat material, overspray is a common problem; since material typically lies in the center of the belt, coating may be inadvertently sprayed onto the adjacent belt surface as well. Overspray may also occur as a result of the coating agent spraying through the material, due to a high spray rate, or because material feed rate has been reduced, as shown below. When material feed rate to the conveyor is reduced or when flowability changes, a significant amount of overspray can occur. This not only wastes coating agent, but depending on the coating, could cause a number of issues, from pooling to build up. In severe cases, it can require that the operation be stopped for cleaning on a frequent basis. Conversely, coating carried out in a drum contains the coating process to the drum’s interior and when properly designed, prevents regular disruptions due to buildup and mitigates the need for frequent cleaning to maintain operational uptime. As mentioned, uncontrolled overspray can result in a significant amount of wasted coating agent. This problem is alleviated when using a coating drum, as the coating agent is used much more efficiently. This means that the same amount of coating agent provides better results, and in some cases, allows for a reduction in the amount of coating agent required. Achieving the perfect coating distribution often requires testing in a facility such as the FEECO Innovation Center. The FEECO Innovation Center is capable of testing all of the variables above and more in order to gather the data necessary for the design of a commercial-scale coating drum. Coating is an indispensable tool in producing high-quality granular fertilizer products that meet precise specifications. From improving product performance and appearance to enhancing handling and application qualities and maintaining a safe production environment, coatings provide an array of benefits that could not be achieved at such a high level otherwise. Coating performance is largely dependent on its proper application. As a result, when a premium fertilizer product is desired, the use of a coating drum over a conveyor provides significantly more uniform results, while also often increasing production and reducing downtime, and in some cases, even lowering production costs. 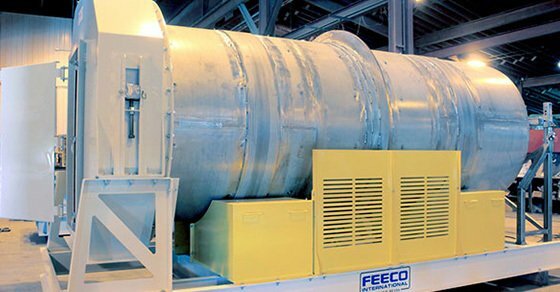 FEECO is a leader in custom agglomeration equipment, systems, and testing. Our coating drums and spray systems are designed around the material to be processed for an optimal coating solution. For more information on our testing capabilities or our coating drums, contact us today!